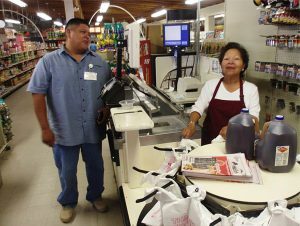 $50 food certificates purchased from the Hopi owned and operated store in Kykotsmovi. Propane, wood or coal used for heating and cooking. Quality, warm blankets for the harsh winters. Funds for the Hopi Cancer Funds or other emergencies. For references contact Tommy and July Canyon (Managers of the Kykotsmovi Store) or Dinah Pongyesva (Hopi Tribal Offices/Hopi Book Mobile). On behalf of our Hopi friends, thank you! (Men say, Kwakw’ha and women say, Askwali).